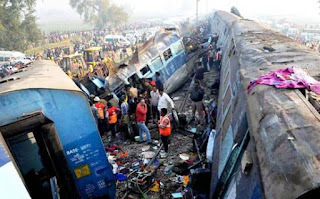 The recent Indore-Patna Express taking more than 100 lives have put a big question mark on the safety arrangements by the Indian Railways – known as the Life Line of India – of the passengers. Indian Railways is the largest public sector undertaking which Toasts of having 7,043 stations spread over route length of 62,000 km with a fleet of 7,806 locomotives, 39,929 coaches, 3,444 electric multiple units and 3,46,394 till 1933. It is also the largest employer in the world with about 2 lakh employees. It also connects the entire nation into a common thread and is considered to be the most safe and reliable mode of transportation which is serving the nation for the past 150 years. In India, the train is the form of transport most widely used by all classes of people. The rail network, crisscrossing the length and breadth of the country, transports over billion of passengers and million ton of freight. It is, unarguably, the lifeline of India. But in such a big net work and despite development of various new technologies, a train wreck or train crash is a type of disaster involving one or more trains. Train wrecks often occur as a result of miscommunication, as when a moving train meets another train on the same track; or an accident, such as when a train wheel jumps off a track in a derailment; or when a boiler explosion occurs. But as far as safety is concerned, it is far below the international standards. The poor and common passengers are the worst victims, there are too many mechanical and human failures resulting in frequent accidents. It is said that there is lack of funds which does not allow the required improvement in the safety standards. The Indian Railways – showing the dreams of Bullet Trains – still looks to be dream in the view major accidents in the country. There had been number of such accidents and India the first major accident was in 1890 in Nagpur due to derailment killing 10 persons and injuring about 35 persons. In 1909, in a head-on collision between passenger and goods train, 11 persons were killed while 27 were injured while in 1908, in a collision between tow mail express trains, 18 were killed and more than 20 were injured. 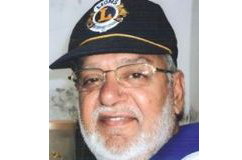 The major such incident in the rail history was in 1947 at the time of partition of India and Pakistan when more than 5000 passengers were killed in Amritsar while 3418 persons were killed from a train from coming from Lahore to India. Not only this, in 1974, the Pamban-Dhanushkodi passenger was washed away by the Rameswaram Cyclone killing all 150 passengers on board. Similarly on June 6, 1982, seven cars of the nine-car train tumbled into the Bagmati River after falling from a bridge near the city of Mansi. Original reports estimated that 500 people were aboard the train, but two Indian officials quoted by The Press Trust of India said that the toll could pass 1,000 and might reach 3,000. So far, there had been around 30 major accidents on the railway tracks on record and there might be certain accidents which are not put on railway history. There is no denying the fact that there are also some major achievements of Indian railways. It is one of the largest railway systems in the world providing transport links through 63,140 routes. A wide fleet with 7800 locomotives, 40,000 coaches, 3,26,000 wagons, 9 pairs of Rajdhani and 13 pair of Shatabdi Express is currently operated on almost daily basis. Indian Railways operates 11,000 trains, and transports more than 1 million tonnes freight regularly. Amongst 11.000 trains, 7000 trains are used by people for commuting purposes.The classes of travel available on Indian Railways are 1st AC, 2nd AC, 3rd AC, AC Chair Car, IInd Sleeper and IInd Ordinary Class. The accidents are the cause of human error or sabotage by some anti-social elements in the society with vested interests to create panic. Derailment is the cause of 50 per cent of all accidents in the Indian Railways. Frankly speaking, Railways are one of the most prominent modes of transportation in many countries across the world and handling massive numbers of passengers and quantities of goods daily. Railways are the most popular means of long-distance transportation in India, hence it is also often described as the backbone of this nation’s economy. 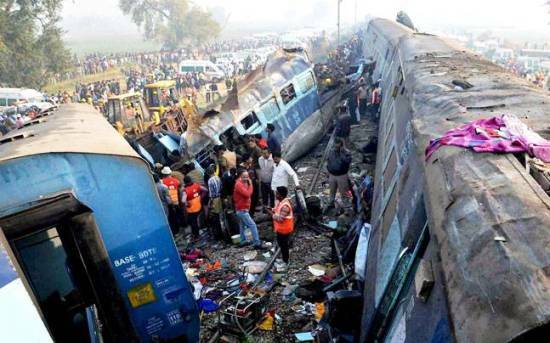 However, the marked rise in the number of train accidents in India is a matter of great concern and yet the concerned authorities have not done much to make the traveling by train’s safe and secure, it has become a routine to order an enquiry after an accident, pay compensation under the rules and then everything is forgotten till another tragedy strikes and passengers die while traveling. The accident has also brought into question the money spent on asset maintenance, including track renewal. It looks that the focus of the ministry has changed from operation to cosmetics and the recent derailment of an entire railway organization, not a train. Indian Railway authorities have realized the urgent need to improve and increase the resources, and invest in safety mechanisms. In view of intolerable number of accidents, the railway authorities should introduce in all its zones the centralized electrical and electronic interlocking systems on all important routes to check recurrence of accidents due to signal failure or overshooting of signals by drivers. Besides with the available of new technology in this high-tech era, must install Anti-Collision Device – indigenously developed, without any further loss of time, to all engines with position updates with the help of GPS satellite system and network among themselves to take decisions for timely auto-application of brakes to prevent collision. At the same, to reduce the railway accidents and ensure greater safety and security effective and immediate remedial measures should be taken. There should be proper accountability and responsibility and railways should be managed and operated professionally as a corporate entity by scrapping the ministry.